Beauty with a Twist: Don't be so Negative! 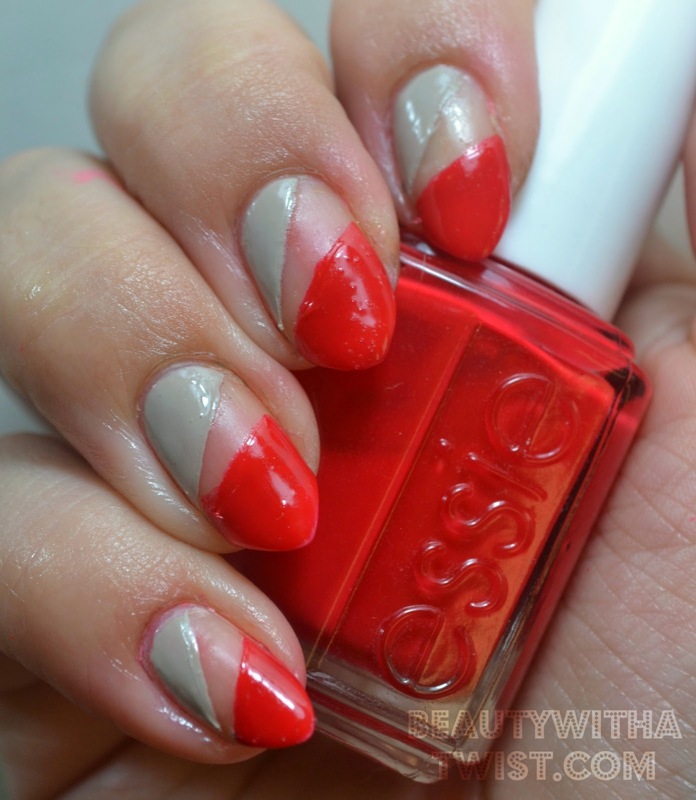 Lately I've been obsessed with negative space nail art, I think it can look so chic! And if you're handy with scissors, it can be pretty easy as well. Today I decided to pair up a couple of my favorite colors from Essie, Chinchilly and Lollipop. While I love the result, I might've gone with 1 coat polishes. I had to do a few coats of each color so it was a little messy removing the tape (part of the polish wanted to come off with it). If you don't want to bother with scissors and tape, try using reinforcement stickers for easy-peasy half-moon nail art, seen here & here. Yay for office supplies! 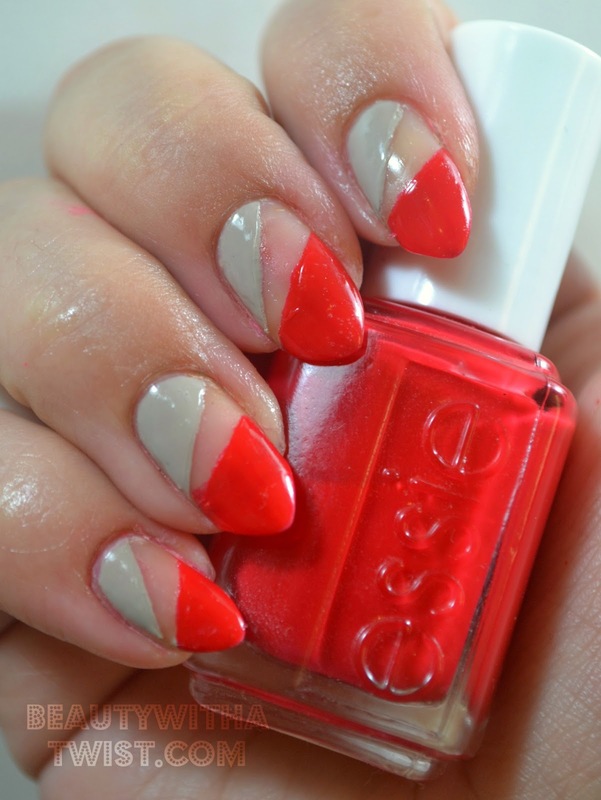 What do you guys think about negative space nail art? Yay or Nay? This looks so chic! Love it! I love negative space manis! Love the mani and the colors! Neat idea! Kinda like a mini abstract work of art! This is my first time ever hearing of negative space nail art. It's definitely very interesting! That shade of Essie is GORGEOUS. For sure going on my want list!